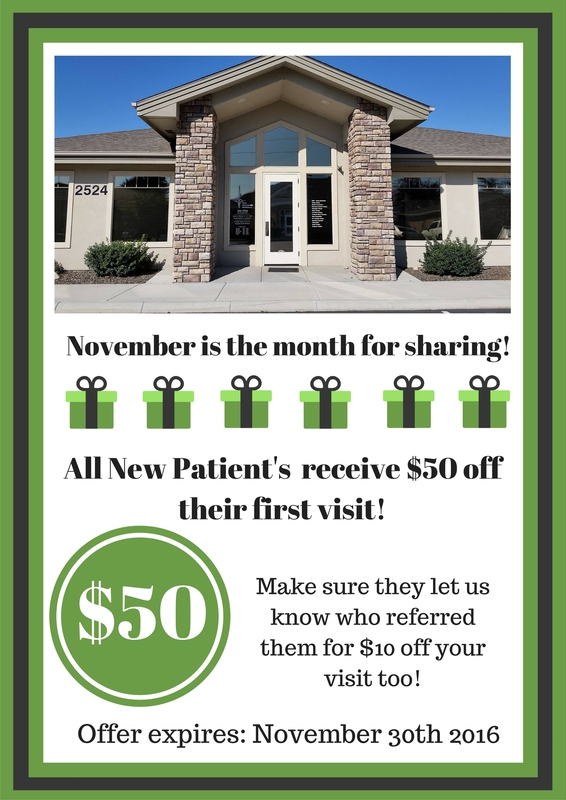 $50 New Patient Appointments in November! This entry was posted in Sales and Specials. Bookmark the permalink. ← Have you heard about Low Dose Naltrexone?